Hop in your one horse open sleigh and dash your way over to the annual BBG Great British Christmas Ball to end your year with a bang! 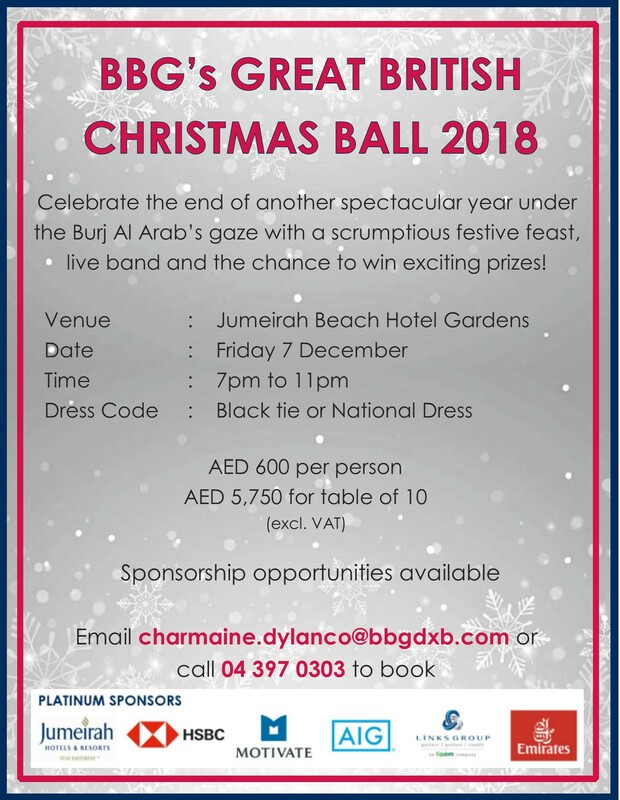 As yet another year draws to a close after passing all-too-quickly, come together with friends, colleagues and your fellow BBG members to reminisce with old friends, make new friends and celebrate with a backdrop of the stunning Burj Al Arab. CopyRights © 2019 - 2020 British Business Group . All Right Reserved.